I'm very happy to show my new build I have been planning in the past months. I'm upgrading from an aging Pre-Built from Dell which had too many parts changed over the years. (There's only the mobo and the i7-3770 left from the original PC). You'll notice the description is really much more of a journey than an actual review, but I'll make sure to leave a proper review on the components I bought down below. I'm not going to lie, it's a 100% for gaming. I chose some components so I would be able to a bit more than pure gaming, like streaming and running my Plex server on it. I have named it The Wild Hunt for a few reasons : 1. It's my favorite game of all time. 2. It was definitly a wild hunt to chase all these components 3. It sounds cool 4. I also wanted to respect the spirit of the wild hunt in my colour scheme with a black and white them which ended more white black and red. Let's start with the processor. I think you could argue my choice of the new I5-9600k, but I think it offers a solid performance for way less than the i7 and i9. I picked the 9th generation because it was 10$ more than the 8th one, with such a low difference, I might as well go with the newer version. I was able to overclock it to a comfortable 5ghz at the first try, and I've never even done overclocking before, so I'm pretty sure I'll be able to push it further to 5.1 or 5.2. I just picked one of the lowest Z390 board available at the time. I'm glad I did not overthink it because I really love it. The colour did not match my colour scheme at all, but I think it adds a little something to it. The UEFI is great, very intuitive. Good performance, 5 fans header, which you definitely want. I don't recommend going for a cheaper Motherboard with fewer fans header, they are VERY handy. The 90 degrees Sata and USB connection should be on every Motherboard, they align perfectly with the rubber grommets, which de-cluster a lot the case. I was planning on getting one from corsair, but this one was on sale and it performs incredibly well, the CPU was running at 24 degrees with the ambient temperature of 20ish degrees before overlock. It does get a little loud, but nothing beside my old PC. I also bought two Corsair white LED fans. I originally only bought one (Not sure why) but after installing it in the case and seeing the difference of air it was moving from the other two, I bought a second. They are good. It was cheap, it was running a 3000mhz, it looked cool. It's ram. It ran at 3000mhz out of the box after setting it in the UEFI, no problem so far. Would recommend. The thermal "armor" suits my theme. 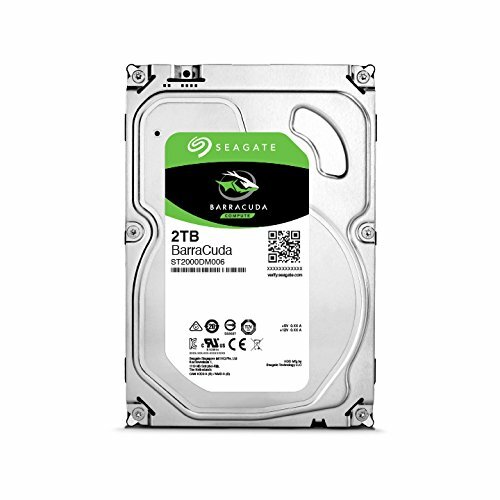 I have always used Seagate Barracuda HDD over the years, so I didn't even shop for another brand. I have always been happy with the performance and the excellent durability. As for the SSD, this was one of the cheaper from the reputable brand out there. It's NOT Nvme, but for gaming I don't need one and booting is ridiculously fast. Just pay attention to what you are buying, the M.2 drives is a form factor, they come in both Sata and Nvme, Nvme has theoretical speed of 1500 mbps while Sata has 500 to 600. I'm leaving this here because I got really confuse between the different models. I was planning on getting the brand new and shiny RTX 2070, but the prices here in Canada are just abysmal. One of my friend was selling his GTX 1080 he bought for mining but never actually used for cheap so I decided to save a few bucks and still get a beast for gaming @1080p and upgrade in the next year to 4k. I fell in love with that case the first time I saw it on HardwareCanucks. Its a compact ATX case that still leaves a bit of breathing room for cable management. The Velcro strap at the back to tie up that main cables are very easy to work with. I think it just represent me well, the angular front panel gives it a techy and modern look that fits with my engineering profession. Cable management is great, I'm not a pro but I think the case makes it easier to do it. 650W seems sufficiant for the components I chose. The gold rating was a plus. I would always recommend getting at least a semi-modular units, because you will always need the 24 pin connector. I dont think you need a fully modular units unless you plan on using custom cables. It took me around two full evenings to complete the build, and one more to set up windows, steam, overclock, etc. I started by putting in place everything but the motherboard and the AIO in the case, this helps planning the cable management once everything is in place. Once I was done, I started to put together the motherboard, cpu, ram, M.2 storage, and finally AIO outside the case, booting a first time to make sure everything was working, freaking a little because I thought I switched on the PSU and nothing was working. Getting the motherboard AND the AIO together in the case was kind of tricky, but I'm sure it was easier then putting everything inside and having to get it out because something's not working. That's it, thanks for stopping by and read through! For the price, I think I have put together a really great PC that suits perfectly my need in the next few years. Great performance for the price. I was able to overclock it at a stable 5ghz with an AIO cooler. Very good performance in game, I can't say for productivity task but Lightroom and in home streaming are both performing very well. Would definitely recommend to anyone looking for and mid to high end gaming build, because the performance in game does not vary very much with the 9700k. I'm honestly very impressed with this AIO, the temps are very good, my 9600k tops at 55 degrees under load. The installation is easy, the box include everything you could need to install it. The RGB logo is a nice touch. I'm taking off once star because it can get noisy at time, it get fixed by tweaking the fan curve with the downloadable software. It does not bother me, but the fan could use some work on the acoustic level, something that I'm willing to sacrifice for better performance. The build quality is what you expect from MSI, very well made. It's sturdy and does not feel cheap at all. It got all the I/O you need, including a type C connector, which at the moment is useless but as more device move to this standard, it is going to be a must have. The 90 degrees sata connector are a bliss, so much easier to work with these along the cut out in the motherboard to help with the cables. The BIOS is nice, it's intuitive and easy to use. 5 fan header is also a must, I'm only using three, but most lower end motherboard only have 2, don't go that way. Aesthetic wise, you have to like the red accent. I liked it and it looks very good in my build, but it's a personal choice. The cheaper I could find over 2600 mhz, and honestly I'm surprise! I was excepting some cheaper heat spreader, but they don't feel cheap at all. It was running at 3000 mhz quite easily (It's not running out of the box at that speed, no RAM does) you only have to set it in the BIOS. There's not a lot to say, I recommend them if you like the look. First of all, it is NOT NVME. It's a Sata SSD in the M.2 form factor. Not all M.2 are NVME. With that said, I don't think you are going to feel a big difference while doing mundane task and playing games. Windows boots incredibly fast on it, my other devices use cheaper SSD, and it's the fastest of them all. I always recommend Seagate for the HDD, never had one failing on me on over 8 years. I get up to 200 mbps of transfer speed between my ssd and this one, I use it as a game library and get good loading time on it. Bought it use for 450 CAD, so at that price it's a steal because it performs very well. It's 1080, it says it all. Card specific wise, it's well made, the backplate is a nice touch and so is the RGB logos. It does not make a lot of noise (near silent) and only using 1 8 pins connector. At max loads, it runs around 67 degrees, but it's heated by my AIO cooler. This case is Amazing, I really love it. it looks amazing, the mesh cover is very nice. Except at the back, it's completely dust filtered, which is a must for people living in old house or with animals. The PSU area get quickly clustered by the cables and the Hard drives and I would advise if you are using a modular psu to plug the cables before the installation, I had to take it out to change a cable because there's not a lot of space. With that said, the cable management is amazing, it's really made easier with the channel in the case. The cable holes were perfectly aligned with my mother board. The airflow is good, lot of air coming in and out. Temps are good. It just looks amazing on my desk near me, it was even Girlfriend approved. Works good, did not blow up when plugged. There's a lot of cable included, they are black so they don't stand out in the case. Works well, lot of airflow, much better than the included fans with my case. Compared to the other fans out there, they're not very expensive, but buying two still sets me back 60$, I almost took 1 star off because they are not really bright, the white looks good, but it's not as bright as I imagined. Very nice build + great pics. Enjoy it! Thanks :D At that price I told myself I better do a great photo shoot of it. Your build looks great! You did an amazing job with the photography. The fan configuration is not optimal. You’d be better off by moving the rad to the top and top fans to the intake. Otherwise you’re feeding the gpu with warm air. 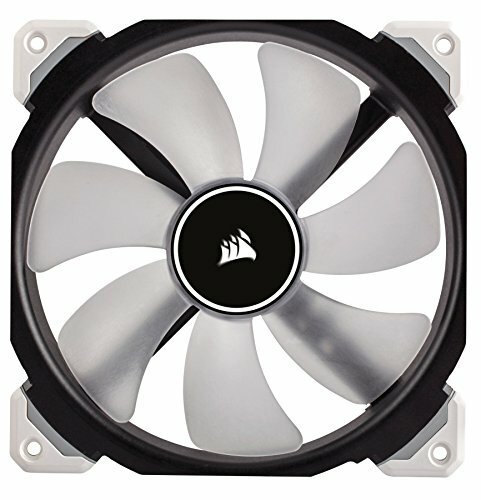 The top exhaustion fans will not improve gpu temps in either Meshify/Define case series. Yeah I agree, once I have some free time I'll try to do the switch, I first thought the RAM would get in the way of this really thick AIO but it fits. ATM the GPU is running at around 67 degrees while gaming, it would definitely improve the temps, but it's not critical. Surely, it all just goes to your ambient temps, whether you OC or not, and what temps are you happy with in general at corresponding noise level. I just like things as cool and as silent as possible and decided to point out. My 1080 ftw2 is always running at 99% load in demanding games without fps limits at 1440p and can get quite hot in restrictive Define C, especially during summer. And I’m not a fan of cranking fan curve since evga cards are not quite good in terms of fan noise above 50-60% speed. The biggest limitation for SATA / NVMe is PCIe bandwidth, not the actual drives (to an extent). Zen2 Epyc CPUs will use PCIe 4.0 which means the 2x or 4x lanes an NVMe drive uses is much faster. Same with the ones used by SATA drives. love the pictures, what camera are you using? NICE build! Out of curiosity, what voltage is the CPU overclocked to? Actually really good! I did not thought I would see a difference in the audio from my older motherboard, the 7.1 also works flawlessly. Actually I think it was featured, but a little while ago when I posted it. Im basically making the same build as you, except with the coolermaster masterliquid ml240l cooler. Does this motherboard support the RGB fans on the cooler? I just finished a build with the same mobo and the cooler you mentioned and the RGB fans work just fine! In wich headers did you plugged in your liquid cooler fans?